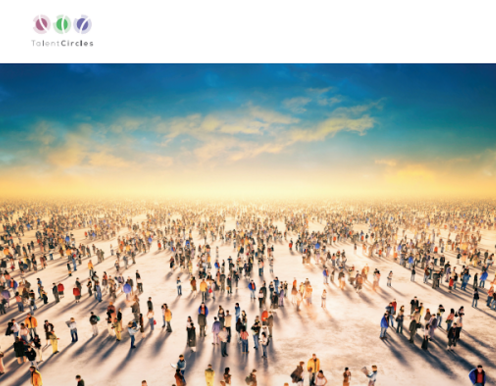 TalentCircles: A Platform for Talent Connection Solutions: Times are Changing for Recruiters, Are You Prepared? Times are Changing for Recruiters, Are You Prepared? So, what do your client businesses and potential candidates expect from you? 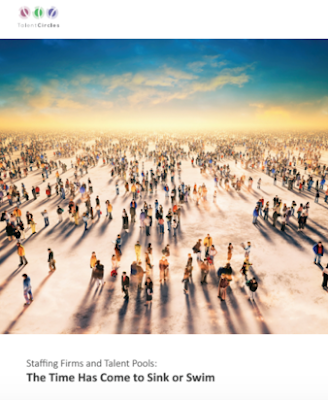 “They both want better results and to see barriers and dead-weight inefficiencies taken out of 20th century processes that are still relied upon today.” This information comes from our latest white paper, Staffing Firms and Talent Pools: The Time Has Come to Sink or Swim. Businesses are finding that, with changing times, the long-standing staffing model has some major shortcomings. These companies are being pressed more than ever before to find the right talent, engage and make the best use of it, and maximize ROI on the talent engagement life cycle. This means the tried and true staffing firm model must evolve and leverage new technology to be more effective and provide the service and value that is really needed. Those recruiting firms that are stepping up to the plate to address changing client and candidate needs are embracing the benefits and importance of an important new technology: online talent pools. Download our new white paper here to learn how, staffing firms that integrate emerging talent pool technology with the best of their existing capabilities and processes can improve their performance while satisfying both clients and candidates. Visit our website at www.talentcircles.com, contact us at sales@TalentCircles.com or call 888-280-0808.